The name of this man for many decades was classified in much the same way as the names of Igor Kurchatov, Sergei Korolev, Yuri Khariton, Andrei Sakharov, Dmitry Kozlov. But now it is known to all. This engineer, who lived and worked in Kuibyshev for a long time, was Nikolai Dmitrievich Kuznetsov, later an academician and twice Hero of Socialist Labor. He was born 23 (old style 10) June 1911 in the city of Aktyubinsk of the Russian Empire (now the city of Aktobe, Republic of Kazakhstan). His father Dmitry Matveyevich by profession was a working boiler maker, and mother Maria Mikhailovna - a housewife. In his city the future designer graduated from primary school, and completed secondary education already in Soviet times in the school of workers 'and peasants' youth. Then he studied at the evening department of the Moscow Aviation Technical School, while working at the factory as a fitter. In 1933, Kuznetsov entered the air-technical department of the engine-building department of the Zhukovsky Air Force Academy, which he graduated with honors in 1938. Already at that time the young man proved himself to be a talented engineer, having developed for the thesis project the original design of an aircraft engine with a capacity of 1500 horsepower, which even interested the recognized experts in his field. A promising graduate was left at the institute's department, and in April 1941 he successfully defended his Ph.D. thesis. From the very first days of the Great Patriotic War Kuznetsov repeatedly wrote applications with the request to send him to the army, but the management had other plans for the young candidate of technical sciences. He got to the Northwestern Front in the summer of 1942, but only in the order of training as a senior engineer of one of the divisions of the 6th Air Army. In October of the same year Kuznetsov was again sent to the deep rear, to the Ufa Aviation Plant, where he worked for almost seven years. But the most stellar purpose of his whole life was yet to come. In 1949, Kuznetsov was sent to Kuibyshev, as chief designer of a top secret factory. It was created back in April 1946 on the basis of the plant No. 145, which was evacuated from Moscow, named after Kirov. This was the beginning of the history of the enterprise, now called OAO Kuznetsov, and in Soviet times was called the State Allied Experimental Plant No. 2, Plant No. 276, Kuibyshev Motor Plant and the Kuybyshev Research and Production Association Trud and JSC Samara Science and Technology Complex (SNTK) named after N.D. Kuznetsov." Since the late 1940s it is one of the largest enterprises in Russia to develop and build aviation and rocket engines. The plant was located on the outskirts of the city, in the village of Administrative, where in the pre-war years there was a construction management of the Kuibyshev hydroelectric complex. For this reason, the village received the name. In total, under his leadership, the company created 57 gas turbine engines for aircraft and ekranoplans, liquid jet engines (LRE), as well as other structures. Most of the developments of Kuznetsov and his enterprise are marked by the characteristics "for the first time in the world" or at least "for the first time in the USSR". Among them - the first in our country and the most powerful turboprop in the world; The first in the USSR and the most powerful dual-circuit engine in the world with an afterburner combustion chamber for supersonic aircraft; The world's first mass-produced large-capacity LPRE, operating in a closed circuit; the first in the USSR three-shaft dual-circuit engine; the world's first engines using liquid hydrogen and liquefied natural gas as fuel. This list can be continued for a very long time. 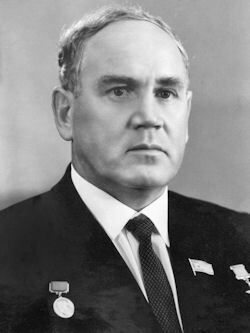 Glushko, under whose leadership the engines for the Korolev's missiles were designed for many years, unexpectedly refused to make an engine for oxygen and kerosene for a new rocket. He explained this by saying that he has too little time for development, and therefore, under such unrealistic terms, he can not risk his reputation. That's the order for the engines for the H-1 missile and got to Kuibyshev, OKB-276, which was headed by ND for a long time. Kuznetsov. Of course, Kuznetsov was then perfectly aware that in just a year or so his team would not be able to create a radically new powerful engine capable of putting about 100 tons of payload into orbit. However, already at the same time OKB-276 had an almost ready engine NK (Nikolai Kuznetsov), quite reliable, but low-power - its thrust did not exceed 150 tons. And then the original engineering decision was made: to put 24 Kuznetsovsky engines at the base of the first stage of the lunar rocket. Subsequently, their number was increased to 30 pieces. Being an extremely modest person, Nikolai Dmitrievich never mentioned anywhere his personal offers, theoretical developments, referring the achievements of the enterprise he leads to the merits of the whole team. Therefore, much in the development of domestic aircraft construction remained as it were nameless. Meanwhile, most of the projects at the plant were first developed either by Nikolai Dmitrievich himself, or on the basis of his ideas and under his leadership. At the same time, everything that Nikolai Dmitrievich undertook for was ahead of the work of related domestic and foreign firms. That was the style of his work. Kuznetsov understood perfectly well that one was not a warrior in the field, and therefore paid great attention to the upbringing of the collective. He was unusually patient and tolerant at the perception of another person's opinion. Like no other, he was able to talk with his subordinates, not reminding them that he was the boss. He did not under any circumstances say: "I decided", "I suggested", "I applied", but only: "Our team suggested", "Our team has developed". At the heart of it, he put the merits of the whole enterprise, but not his personal. This was his essence both as a general designer and as a person. Nikolai Dmitrievich Kuznetsov died on July 31, 1995 in Samara, and was buried at the Kuntsevo Cemetery in Moscow. In addition to the title of twice Hero of Socialist Labor, N.D. Kuznetsov was awarded eleven orders of the USSR. It should also be added that, despite the huge load on the main job, Nikolai Dmitrievich was also a major state and public figure. For 30 years he was a deputy of the Supreme Soviet of the RSFSR and a member of the Presidium of the Supreme Soviet of the RSFSR.